Albacete has a bad reputation throughout Spain. En España, Albacete tiene mala fama. Many times, after I tell Spanish friends about my goal to step foot in every Spanish province, they try to convince me that the 20 minute rest stop at the Albacete bus station counted. Muchas veces, cuando les cuento mi reto de pisar todas las provincias españoles, me dicen que la parada de autobús de 20 minutos era suficiente y cuenta. They even have an expression that rhymes in Spanish (but not in English.) Albacete: sh** and leave. 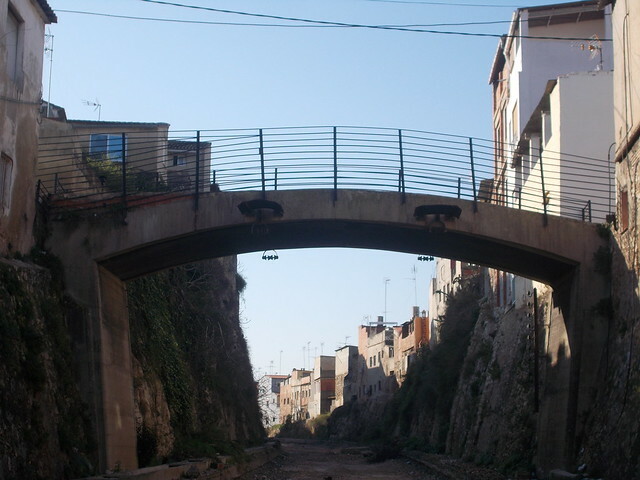 (Albacete: cágate i vete.) 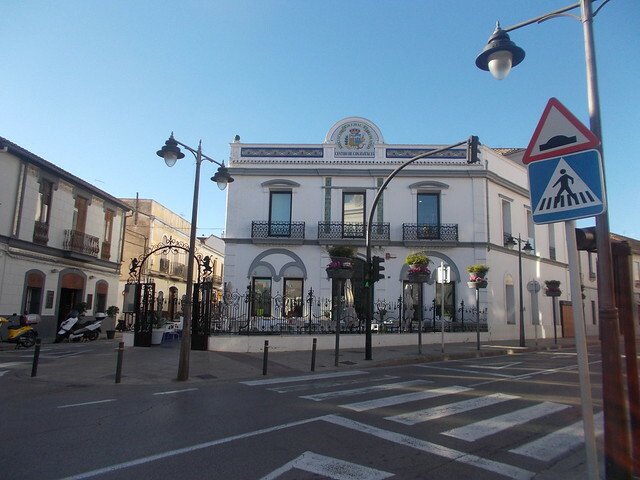 Incluso, tiene una rima de Albacete: Albacete, cágate y vete. To be honest, Albacete was not my favourite city when I visited this weekend for the day. I’m sure the largest city in Castilla La Mancha is a great place to live when you have friends and family there. For a day trip, there just isn’t a lot to do to keep tourists’ interest. 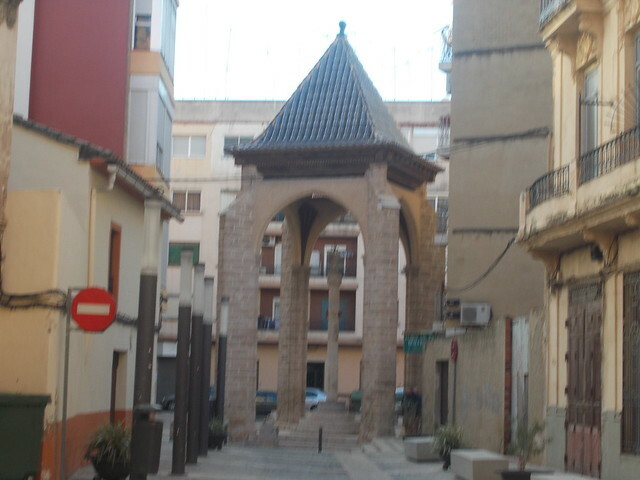 Para ser sincero, Albacete no era mi ciudad preferido cuando la visité este fin de semana por el día. 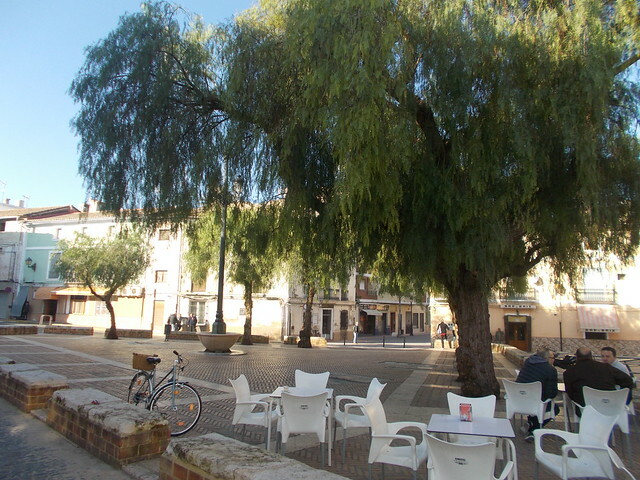 Seguro que la ciudad más grande de Castilla La Mancha es un buen sitio para vivir cuando tienes amigos y familia allí. Para un turista, es otra historia porque no ofrece mucho para hacer. 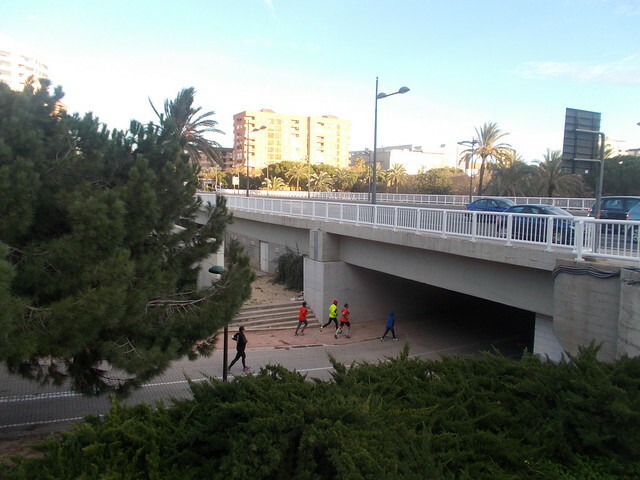 I caught the 9:00 bus from the Valencia bus station and arrived around noon. The bus station is about a 15 minute walk from the city centre, where the beautiful cathedral is located. The city has 172,693 residents (2013 statistics) and comes to life during the annual Feria in September. Cogí el autobus a las 9 de la estación de autobuses de Valencia y llegué sobre las 12. El centro de la ciudad es sobre 15 minutos de la estación de autobuses. En el centro, se encuentra la catedral bonita. 172.693 personas (datos de 2013) viven en Albacete, y la ciudad se anima mucho cada septiembre durante la Feria de Albacete. On a cold (but sunny) January day, the city was quiet, outside of inside restaurants, which all seemed to have been reserved. I walked around for quite a while trying to find one with a menú del día that wasn’t reserved. I finally found one near the windmills. En un día frío (pero asoleado) de enero, la ciudad estaba callada (fuera de dentro de los restaurantes. Me parecía que todos estaban reservados y me costó mucho encontrar un restaurante abierta que no estaba completo con un menú del día. Encontré uno barato cerca de los Molinos de la Feria. My first stop, after leaving the Oficina de Turismo, was the Catedral de San Juan de Albacete, the highlight of the city. It dates back to 1515. Later, I walked around the city centre, enjoying the shops. 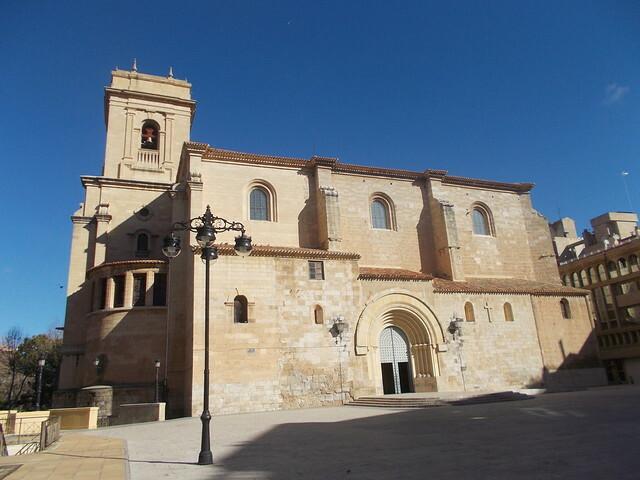 La primera parada después de la Oficina de Turismo fue la Catedral de San Juan de Albacete, la mejor parte de la ciudad. Empezaron a construirla en el año 1515. Después, exploré las calles de la ciudad y haciendo algo de compras. Another highlight was the Paseo de Lodares, a quaint passage between two streets that seemed much more Italian than Spanish. I had a coffee there and watched the world go by for a while. 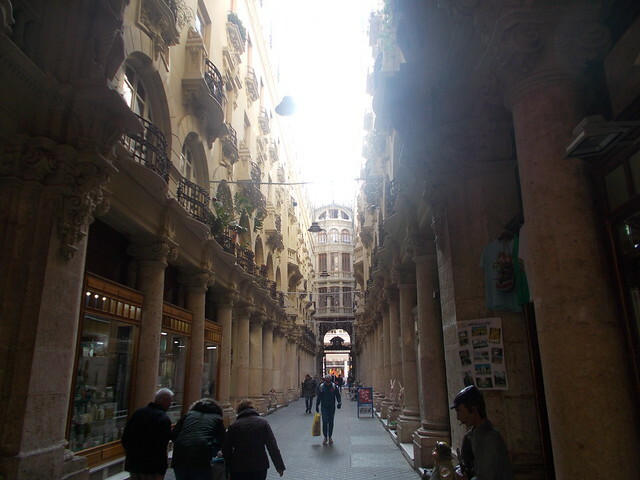 The passage offers some shops and cafés. 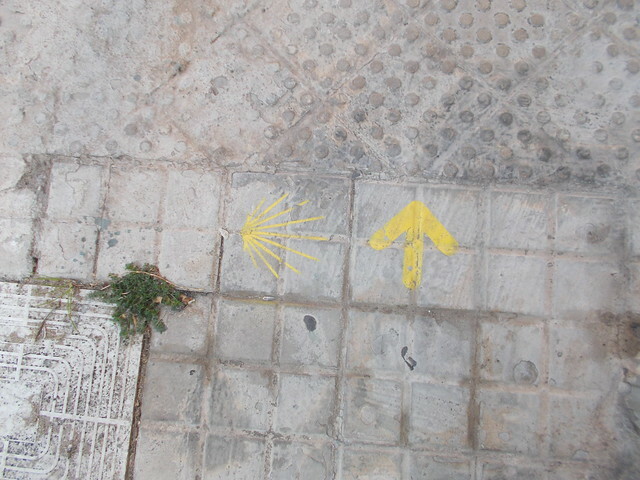 Otra cosa chula era el Paseo de Lodares, un paseo pintoresco entre dos calles que parecía más italiano que español. Me tomé un relaxing café ocn leche y vi el mundo pasear. El paseo dispone de unas tiendas y cafés. 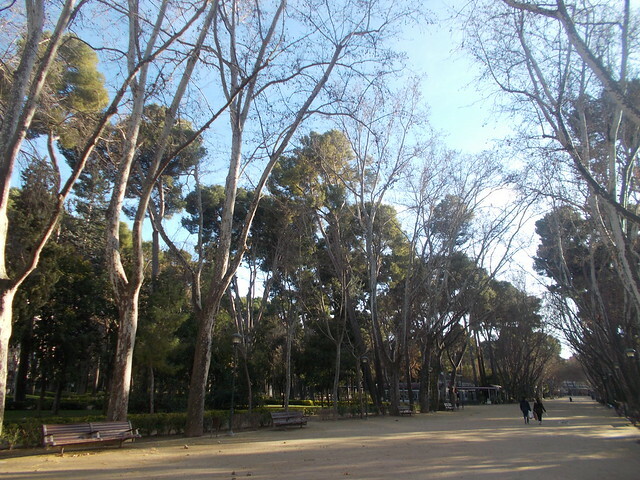 I also visited a few of the parks, including Parque Lineal and Parque Abelardo Sanchez. The Molinos de la Feria (Fair Windmills) were another highlight. También visité algunos de sus parques, incluso el Parque Lineal y Parque Abelardo Sánchez. 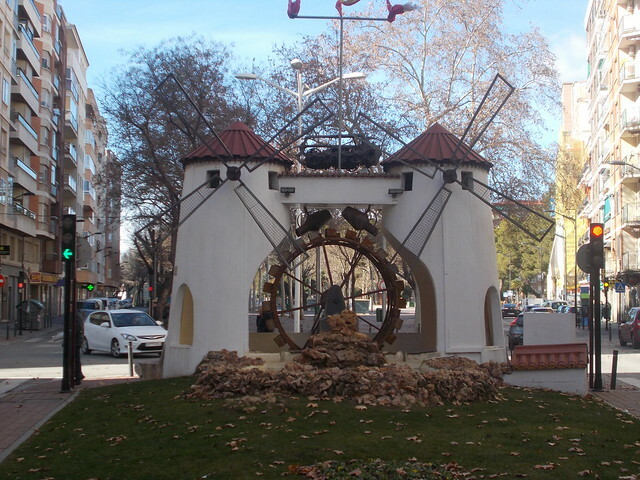 También molaban los Molinos de la Feria. The province capital has an AVE station connecting it to Madrid and Valencia, and buses connecting it to many other Spanish cities. There are more than a few villages I would have liked to have visited, but without a car, it was kind of hard. These villages will be talked about in the upcoming Setmeravelles entry. La capital de provincia tiene una estación de Ave que la une con Madrid y Valencia. La estación de autobuses la une con muchas ciudades españoles. Hay muchos pueblos que quisiera visitar, pero sin un coche, las cosas pusieron difíciles. 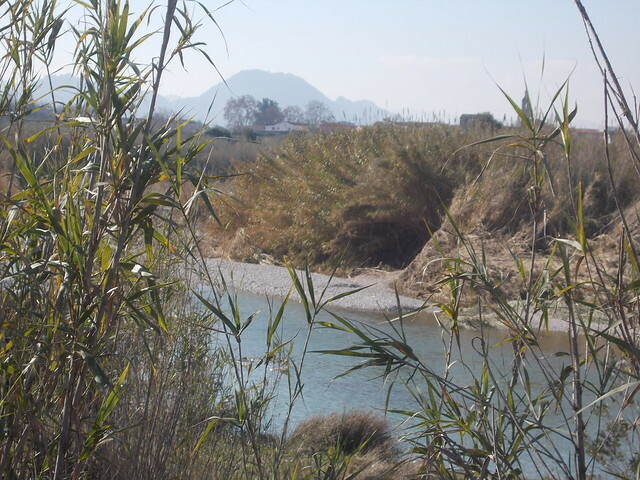 Voy a mencionar eses pueblos en una entrada futuro sobre las Setmeravelles de Albacete. Is there more to do than use the toilet in Albacete? Yes. Is it the best city in the world? Far from it. Am I glad I went? Yes….but I wish I could’ve seen the villages. ¿Hay algo más en Albacete que usar el baño? Sí. ¿Es la mejor ciudad del mundo? Desde luego que no. ¿Me alegro haber ido? Sí, pero ojalá pudiera ver más pueblos de la provincia. Now I only have Huesca, Zamora, Lugo and Ourense to go! ¡Ahora solo me quedan Huesa, Zamora, Lugo y Ourense! Outside of Pedro Almodóvar, Luis Buñuel Portolés, better known as Luis Buñuel, is perhaps the most well-known Spanish director. He’s Spanish and, in my humble opinion, should always be referred to as Spanish, although for much of his career he was in France or Mexico due to being in exile during the Franco administration. The quality of his films demonstrates why both France and Mexico fight to include him as one of their own. Buñuel was born on 22 February 1900 and died on 29 July 1983. His New York Times obituary called him ” iconoclast, moralist, and revolutionary who was a leader of avant-garde surrealism in his youth and a dominant international movie director half a century later” (Wikipedia). His work spans a period of 48 years and two continents, three languages and nearly every genre imaginable. He lived in Paris in the 1920s where he attended a private film school run by Jean Epstein. He later worked as a film critic and met his wife Jeanne Rucar Lefebrve. He met up with Catalán painter Salvador Dalí and the two made a 16-minute short, Un Chien Andalu, bringing your nightmares to life. During the filming of Buñuel’s second film, L’Age d’Or, Buñuel, who was left-wing, and Dalí, who would later support Franco, had a falling out. And we thought the 2016 American election was bad. This falling out over their vision of the film let to Buñuel trying to choke Dalí’s girlfriend. Dalí backed out of the film. Dalí called the film an attack on the Catholic church, and as we know, controversy attracts interest. The film was withdrawn in 1934 and wasn’t seen again until 1979. This also got the attention of Hollywood. He collaborated with MGM on one film, but later got mad when they asked him how someone’s Spanish accent was. He stated that he was there as a Frenchman, not Spanish, and “didn’t have time to waste listening to one of the whores.” Buñuel was slowly building his reputation. He returned to Spain, which was on the brink of the Spanish Civil War. He created one of the first mockumentaries in Las Hurdes, which got banned by three Republican governments before Franco permanently banned it. He went back and forth between Paris and Madrid a while, collaborating with Paramount and then Warner Brothers (which had a studio located in Madrid). After the hate crime assissanation of his gay friend, the poet Federico García Lorca, Buñuel decided to work with the republicanos (nothing to do with an American Republican, therefore, “republicanos”, and that’s meant to explain that they are two radically different concepts of the word) and was coordinator of film propaganda. In 1938 he returned to Hollywood to supervise films on the ongoing Spanish Civil War. When the War finished, he decided to stay in the US due to the win of Franco’s Fascist regime. 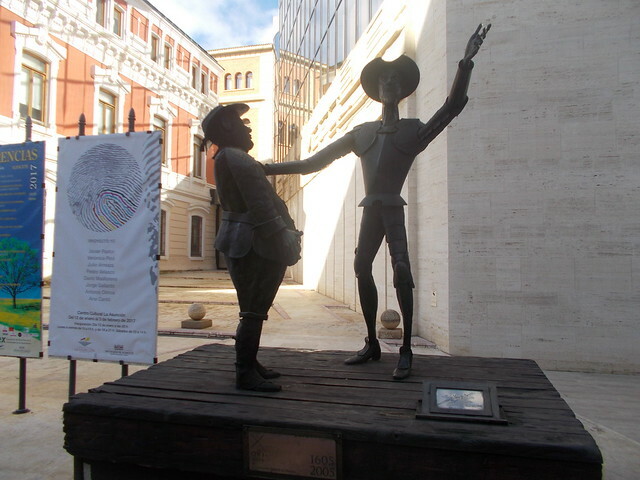 When Dalí’s autobiography stated that Buñuel was a communist and an atheist, his quest to become an American citizen ended due to a fight with Archbishop Francis Spellman. He then went to Mexico between 1946 and 1961, where he began to achieve international acclaim. He worked on films in Mexico, Hollywood and France during this time. After the 1960 Cannes Festival, young Spanish director Carlos Saura talked to Buñuel and convinced him to return to Spain. He made a film called Viridiana, which I will be writing about at length one day soon. The Spanish censors, of course, made him edit it, but he sneaked in a more offensive ending. Even the original cut would have made today’s MPAA cringe. The film was banned in Spain during 17 years, the press was forbidden to speak of it, and the two film production companies that produced it were forced to disband. Virdiana shared the Palme d’Or with the French film Une aussi longue abscence. Buñuel’s last film was Ese oscuro objeto del deseo in 1977. He died in Mexico City in 1983. Buñuel is a controversial director, and I’ve been meaning to truly explore his films since arriving in Spain in 2008. I saw Un Chien Andalu and Viridiana in my Spanish Cinema university course, and at times I’ve seen a few of his others, including his satire of the Camino de Santiago (actually the Camino del Norte) La vía lactea. Apparently in the 1960s it was okay to hitchhike to arrive to Santiago. Who knew? Over the next few months, I aspire to see and write about as many films as possible. Unlike the Almodóvar and Alex de la Iglesia projects, I fully admit I may not see every film. I am subject to what’s available online and at the library (Netflix España is a joke when it comes to classic Spanish films, and a joke in general.) I may take breaks to write about other films, as in March I will be watching films that take place in my Easter destination (no spoilers, but the ticket is bought). It’s a massive undertaking, needless to say. I hope you join me in this journey of exploration into the world that is Luis Buñuel. Aparte de Pedro Almodóvar, Luis Buñuel Portolés, mejor conocido como Luis Buñuel, es probablemente el director español mejor conocido. Es español, y en mi opinión, siempre debería ser llamado “español”, aunque por la mayoría de su carrera, estaba en Francia o Mexico dado a ser en exilio durante la época de Franco. La calidad de sus películas muestra porque Francia y México discuten para llamarle uno de ellos. Nació el 22 de febrero de 1900 y se murió el 29 de julio de 1983. Su obituario le llamó “iconoclasta, moralista, y revolucionario, un líder de surrealismo de avant-garde en su joventud y un director de cine dominante e internacional 50 años después.” (Wikipedia). Su carrera abarca un periodo de 48 años y dos continentes, tres idiomas y casí todos los géneros imaginables. Vivió en París durante los años 1920s donde asistió un instituto privado de cine dirigido por Jean Epstein. Después, trabajó como un critico de película y conoció a su mujer, Jeanne Rucar Lefebrve. Conoció a artista catalán Salvador Dalí y ellos hicieron un corto de 16 minutos, Un chien andalu, que da vida a todos tus pesadillas. Durante el rodaje de su segunda película, L’Age d’Or, Buñuel, de izquierdas y Dalí, quien después dio su apoyo a Franco, discutieron mucho. Y pensabamos que las elecciones generales estadounidenses eran difíciles. Esa discusión de la visión de la película acabó con un intento de Buñuel de ahorcar a la novia de Dalí. Después, Dalí dejó la peli. Dalí dijo la peli era un ataque en la iglesia católica, y como ya sabemos, polémica atrae interés. La pelí fue retirada en 1934. Nadie la vio de nuevo hasta 1979. También llamó la atención de Hollywood. Colaboró con MGM en una película, pero después se enfadó cuando MGM le pido a Buñuel sobre el acento en español de una actriz. Buñuel respondió que estaba allí como un francés, no un español, y “no disponía de tiempo de perder escuchando a una de las putas.” Poco a poco Buñuel estaba construyendo su fama. Después del asesino de su amigo gay, el poeta Federico García Lorca, Buñuel decidió trabajar con los republicanos españoles y era coordinador de la propaganda de película. En 1938 volvió a Hollywood para supervisar las películas que se trataban de la Guerra Civil española. Cuando la guerra acabó, Buñuel se quedó en los EEUU porque los fascistas de Franco ganó la guerra. Cuando la autobiografía de Dalí salió y dijo que Buñuel era comunista y ateo, su misión de hacerse ciudadano estadounidense se acabó después de una discusión con el arzobispo Fancis Spellman. Fue a México donde vivió entre 1946 y 1931. Es la época cuando empezó a tener éxito internacional. Trabajaba en películas en México, Hollywood y Francia durante este periodo. Después del Festival de Cannes de 1960, un joven director español (Carlos Saura) habló con Buñuel y le convenció volver a España. Hizo una película que se llama Viridiana. Dentro de unas semanas, ya escribiré mucho sobre esa película polémica. Desde luego, la censura de Franco le exigió editarla, pero añadió una escena final que era aún más ofensiva. Incluso la versión original le haría avergonzarse a la Asociación de Películas de EEUU. Era prohibida en Esapña durante 17 años, la prensa era prohibida hablar de la película, y las dos compañías de producción tenían que cerrar su producción. Viridiana compartió el Premio Palme d’Or con la francesa Une aussi longue abscence. Su última película fue Ese oscuro objeto del deseo en 1977. Se murio en la Ciudad de México en 1983. Buñuel es un director polémico. He querido explorar sus films desde mi llegada a España en 2008. Vi Un Chien Andalu y Viridiana en mi clase de cine español en la universidad, y he visto otras, pero no muchas. Una de ellas es su satira del Camino del Norte (de Santiago), La vía lactea. ¿Quién sabía que en los años 1960 era permitido hacer autostop para llegar a Santiago? Durante los próximos meses, espero ver y escribir de tantas de sus películas como posible. Voy a admitir que quizá no pueda ver todas sus pelis. Solo puedo ver los que están disponibles en la biblioteca e internet. (Netflix España es una mierda con su selección del cine español y una mierda en general.) Quizás tome descansos para escribir sobre otras películas, como voy a ver pelis que tiene lugar en mi destino de Semana Santa (no voy a dar espoilers, pero ya me he comprado el vuelo). Es una misión bastante grande. Espero que te apuntes a este viaje por el mundo de Luis Buñuel. Gracias a Wikipedia para la información de su vida. Como es Wikipedia, si hay errores, avísame. Entre Wikipedia y de lo que ya sabía yo, puede ser un margen de error. For those who don’t know (I was one of you in November), “hygge” is a Danish word that expresses a concept of a combination of being at home, coziness, happiness, being in the moment and figurative-if-not-literal warmth. I was given a book on hygge for my birthday, and I just finished reading it. Para los que no saben (era uno de ellos en noviembre), “hygge” es una palabra danesa sobre un concepto de una mezcla de estar en tu sitio, intimidad, felicidad, estar en el momento y calor (figurativo si no literal). Un amigo me regaló un libro sobre hygge para mi cumpleaños, y acabo de terminar de leerlo. Although not related to Spain, it is an international idea, so I thought I’d try writing about it, especially at a time in the US that many people are in need of comfort. I hope I’m not offending anyone with that, as I don’t think diehard Trump supporters would be reading a bilingual blog written by a gay expatriate that feels more Spanish than American anyway, but you never know. In a time where so many of us are extremely worried about the future, a bit of comfort is needed. Aunque no está relacionado con España, es un concepto internacional, y quería escribir de ello, especialmente en un momento como hoy para los estadounidenses que les hacen falta consuelo. Espero no ofenderle a nadie por decir eso (como creo que los apoyadores reaccionarios de Trumpo no van a leer un blog bilingue escrito por un expatriado que se siente más español que estadounidense, pero nunca se sabe. En un momento que hay tantos que estamos muy preocupados del futuro, algo de consuelo es necesario. For me, hygge is a cup of coffee with a good book in a cozy café. It is the feeling of the waves crashing against the shore, seeing a happy golden retriever play, being under blankets on a cold winter day, driving on an open road (not in a city traffic jam), hiking through scenic mountains or forests, or watching a favourite film (especially if it were in the arms of my non-existent boyfriend. However, my bitter comment goes against hygge.) It’s the shower after a workout. It’s the arriving at home after a hard day of work. It’s the experiencing another event on my Bucket List. Para mi, hygge es una taza de café con un buen libro en un café acogedor. Es el sentimiento de las olas llegando a la costa, ver un golden retriever jugar, estar bajo unas mantas en un día de frío del invierno, conducir en la autovía vacía (pero no estar en un atasco de ciudad desde luego), caminar por el monte o bosque bonito, ver una peli favorita (especialmente en los brazos de mi novio que no existe. Sin embargo, este comentario amargo va en contra del concepto de hygge.) Es la ducha después de entrenar. Es llegar a casa después de un día duro de trabajo. Es poder tachar otra cosa de mi Bucket List. Spanish hygge would include beer or wine and tapas or pintxos with friends (Pintxo-pote in the Basque Country is definitely hygge for the Basques, especially on those rainy Thursday evenings) or the Sunday family meal. It would be that morning cup of coffee at a favourite bar. It would be the dinner of Noche Buena (Christmas Eve) or seeing the little ones play with their gifts from Reyes (Three Kings Day/”El día de los reyes”). It definitely includes sobremesa, or lingering up to an hour after finishing your meal chatting with friends or family. Hygge español incluye, creo, unas cañas o vinos y tapas o pintxos con amigos (Pintxo-pote en Euskadi y Navarra es hygge para los vascos y navarros, especialmente un jueves lluvioso) o la comida familiar de domingo. Incluye la taza de café por la mañana en el bar de siempre. Incluye la cena de Noche Buena o ver los peques jugar con sus regalos de Reyes. También incluye sobremesa. For you, what is hygge? The Danish love candles, cakes and time with friends or family. I think while hygge might vary some from place to place, the basics might just be the same for all of us. ¿Para tí, que significa hygge? A los daneses les encanta velas, tartas y tiempo con amigos o familia. Creo que aunque hygge puede variar en lugares diferentes, el básico, a lo mejor, sea igual para todos. La La Land, for me, is one of the best films in recent memory. Although not a Spanish film, it opened in Spain on Jan. 13, and I need to write about this amazing film. I know it’s not everyone’s cup of tea, as it is a musical inspired by the MGM films of the 1950s. However, as I just wrote an entry about hygge for tomorrow, and the film touches on what is hygge for me, I feel the need to write about it. La ciudad de estrellas (La La Land) es una de las mejores películas desde hace mucho. Aunque no es española, estrenó en España el 13 de enero, y tengo que escribir de ella. Sé que no le va a gustar a todo el mundo, como es un musical inspirado por las películas de MGM de los años 1950. Sin embargo, como acabo de escribir sobre “hygge” y la peli es hygge para mi, he de escribir sobre ella. There will be spoilers. If you haven’t seen it, and you do not want to be spoiled, I will not be offended if you skip it. #spoilerfree Hay espoilers. Si no la has vista, y si no quieres saber lo que pasa en la peli, no me va a ofender si saltas esta entrada. I SAID, THERE WILL BE SPOILERS HE DICHO. HAY ESPOILERS. For me, this question is a big one. What is your dream? What is the cost of pursuing your dream? Para mi, esta pregunta es muy importante. ¿Cuál es tu sueño? ¿Qué te va a costar para perseguir tu sueño? For both Sebastian and Mia, pursuing their dream cost them their potential dream partner. In the coda of the film, the five years later epilogue, we discover that Mia got the part she auditioned for when she was on the verge of giving up, and she is a big time actress (bigger than Emma Stone is right now). Sebastian got his dream of owning a jazz club. Para ambos personajes, perseguir su sueño les costó la persona de sus sueños. En el epilogo del film, cinco años después, nos enteramos que Mia recibió el papel que quería cuando estaba a punto de tirar la toalla y rendirse. Ahora es una actriz super famosa, más famoso que Emma Stone es ahora. Sebastian vive su sueño de ser el dueño de un club de jazz. But they are not with each other. The price they paid for their dream was love. The film asks, could they have been together and live their dream had they stayed together? What would it look like? A dreamy world where everything was perfect. Pero no están juntos. El precio de su sueño era su amor. La película pregunta ¿Podrian estar juntos y tener todo si no se hubieran dejado para perseguir sus sueños? ¿Cómo sería su relación? Un mundo ideal y todo es perfecto. The film returns to reality as they share a winceful look and go on with their dream lives…missing one component. Después, la película vuelve a la realidad. Les dan una mirada triste y sigue con sus vidas de los sueños…sin un componente importante. I think, for me, the film is so amazing because it examines the price of living one’s dream. I often wonder, would I have a boyfriend and a real career if I had moved to Seattle in 2004? If I had chosen that life, would I have ever made it back to Europe and experienced all the travel opportunities I’ve had in Europe? Is it possible to have it all, the career of your dreams and the person of your dreams? Creo, al menos para mi, la película es tan impresionante porque examina el precio de vivir tus sueños. Me pregunta a veces, ¿tendría un novio y una carrera real si me hubiera traslado a Seattle en 2004? ¿Si hubiera elegido esta vida, habría vuelto a España y habría tenido todas las oportunitades de viajar que he tenido en Europa? ¿Es posible tener todo? ¿El trabajo ideal y la persona de tus ojos? As I wake up on “Another Day of Sun” in Valencia, I’m not wondering what my life would be like if I still lived in Bilbao. I am wondering if it’s possible to live out my Spanish dream fully, finding a decent job, and finding that principe azul. Mientras me despierto con “Otro día de sol” valenciano, no me pregunto como sería la vida si quedara yo en Bilbao. Me pregunto si es posible vivir mi sueño español, encontrar un trabajo digno y conocer mi príncipe azul. The film is colourful, vibrant, and I hope it wins a lot of Oscars for the message it brings. Gosling and Stone are incredibly talented actors (their singing is not perfect, but their acting and dancing make up for it!) and bring this fantastic script to life. El film es vibrante y espero que gane muchas Oscars para su mensaje. Gosling y Stone tienen mucho talento (aunque sí, pueden ser mejor cantantes. Pero son buen actores y bailarines.) y dar vida a un guión fantastico. Ireland is a country and island with infinite “meravelles” that would take a lifetime to truly discover. There are so many beautiful places that a list of seven is not enough. Since I recently travelled there at Christmas, I’m going to go ahead and write up the country’s seven wonders. Irelanda es un país y una isla con “meravelles” infinitas que tardarían una vida entera para descubrir. Hay tantos sitios bonitos que una lista de siete no es suficiente. Como pasé por Dublín en Navidad, ya voy a intentar hacer una lista cutre de las siete maravillas. As there is so much to discover, and I have seen so little, I’m going to include Dublin as one place to be able to include more incredible places that await me once I am confident enough with stickshift/manual to drive on the left side of the road to hire/rent a car and visit! I also know these are really tourist places, so forgive me. Como hay tanto ver y como he visto tan poco, voy a incluir Dublín como un sitio para poder incluir más cosas increíbles que me esperan cuando ya pueda conducir con marchas por la izquierda para alquiler un coche. También ya sé que los sitios que incluyo son muy turísticos. Perdonadme. I am also considering the entire island as Ireland because the Giant’s Causeway is just too awesome to not include, even if I haven’t been.to Northern Ireland. También voy a considerar toda la isla como “Irelanda” como la Calzada de los Gigantes es tan genial para no incluir, aunque nunca he estado en Irlanda del Norte. The capital of the island, with an urban area of 1,345,402 residents, has an infinite number of awesome places to visit, from St. Stephen’s Green to Temple Bar to the Guiness Factory to cathedrals to the Spire to the Halfpenny Bridge. James Joyce is all over the place too. During my 2014 visit, I felt Boston was very reminiscent of it. Although a big city, it serves as a great base to begin exploring the island. La capital de la isla, con una población urbana de 1.345.402 personas, dispone de muchas sitios chulos para visitar, desde St. Stephen’s Green hasta Temple Bar hasta la Fabrica de Guiness a catedrales al Spire al Puente Halfpenny. Se nota la presencia del fantasma de James Joyce también. Durante mi visita en 2014, me recordaba de Boston en EEUU. Aunque es una ciudad grande, sirve como un base para explorar la isla. 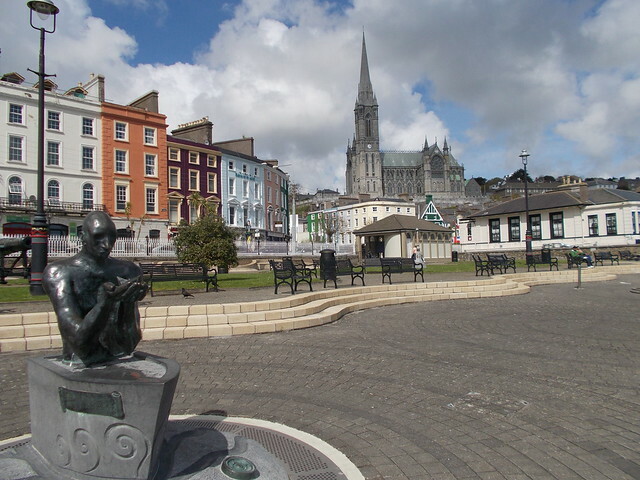 Cobh was, once upon a time, known as Queenstown. 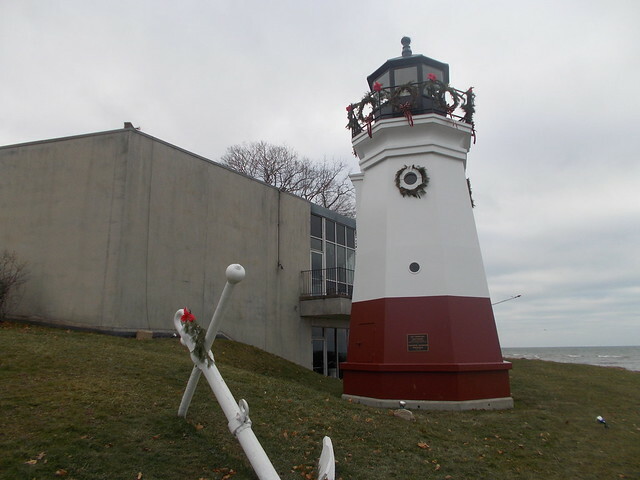 It is a town of 12,347 people and was a popular starting point for ships to leave to the United States, including that ill-fated trip of the Titanic. Today is is a port town with beautiful cobblestone streets and colourful houses and, of course, great views of the sea. Erase una vez Cobh se llamaba Queenstown. Hoy es un pueblo de 12.347 personas y era un punto de embarque para los barcos que iban a los EEUU, incluyendo el barco más famoso, el Titanic. Hoy es un puerto con calles adoquinadas, casas coloridas y, desde luego, vistas bonitas del mar. 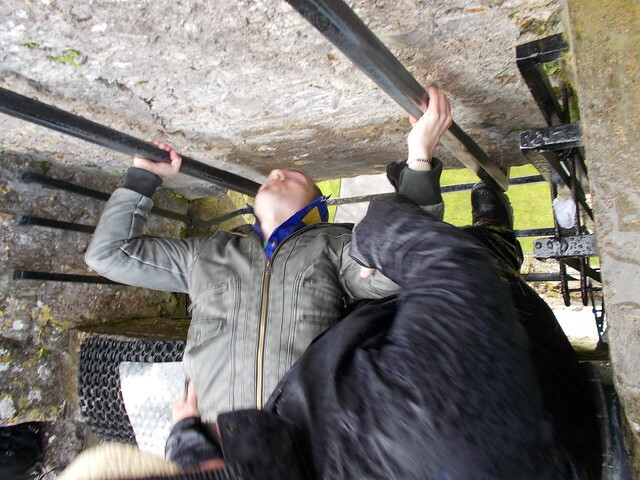 Perhaps it’s only Americans like me with Irish blood that grew up with the tale of the Blarney Stone. 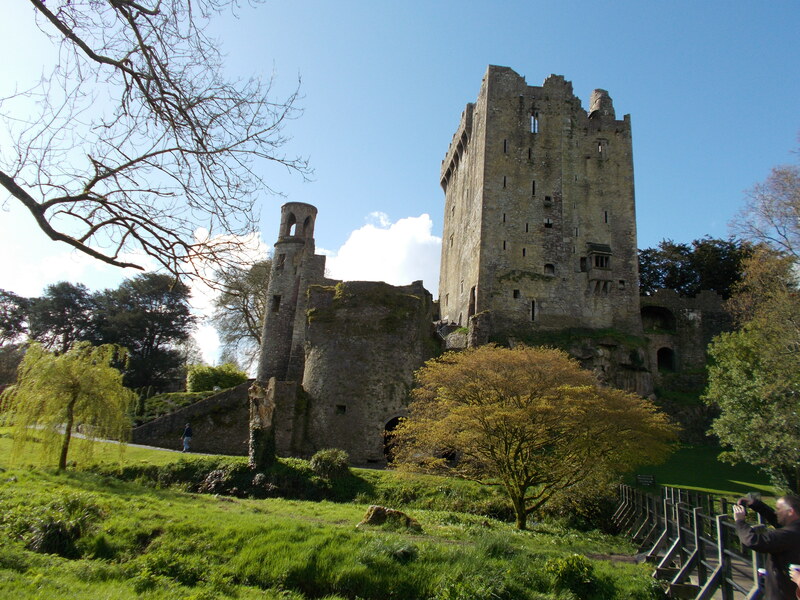 While Ireland has many castles that are much more beautiful and impressive than Blarney, none of them have the tradition of the stone. Tourists flock from all over the world to kiss the stone to receive the “gift of gab”. I don’t know, I’m still pretty shy 2.5 years after kissing it, but I was able to “gab” with the Irish during my recent overnight without a problem. I’d say that maybe it only works whilst on the island, but Winston Churchill is said to have sojourned to Ireland to kiss it before many of his speeches. A lo mejor solo es yankis con sangre irlandesa (como yo) que crecemos con la historia de la Piedra de Blarney. Aunque Irlanda tiene castillos mucho más bonitos y impresionantes que Blarney, ninguna tiene la historia de la pierda. Siempre hay demasiadas turistas de todo el mundo haciendo cola para besar la pierda para conseguir el don de hablar. No sé. 2,5 años después todavía estoy demasiado tímido, pero hablaba con los irlandeses sin problema durante mi visita reciente. Diría que quizá solo funcione cuando uno está en la isla, pero se dice que Winston Churchill siempre viajó a Blarney para besar la pierda antes de sus discursos más importantes. The famous basalt columns were formed after a volcanic eruption. It has been a UNESCO World Heritage Site since 1986 and is located 4.8 km/3 miles from the town of Bushmilles in County Antrim. For more information on the world-famous natural landmark, check out their website here. Las columnas de basalto famoso eran formadas después de una erupción volcánica. Ha sido Patrimonio de la Humanidad (UNESCO) desde 1986 y está ubicado a 4,8 kilómetros desde el pueblo de Bushmilles en Condado Antrim. He incluido su página web en inglés arriba. Located in the west of Ireland, Galway is a city of 79,504 people and will be the European City of Culture in 2020. The city is full of castles, rivers, canals and history. I still am kicking myself in the foot for going to Cork instead of here in 2014. 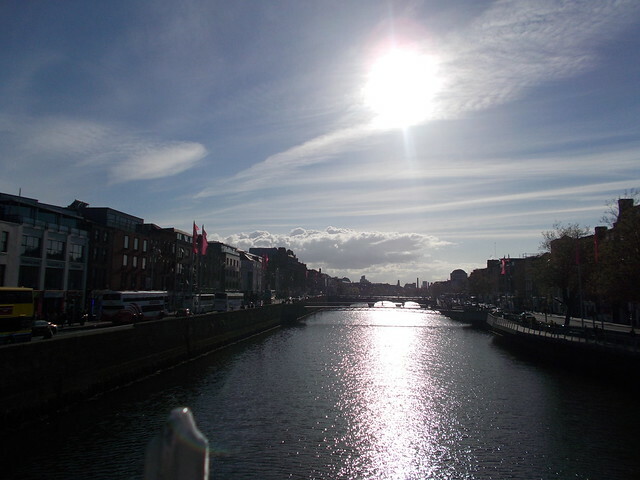 I will return to Ireland to explore this beautiful city one day. 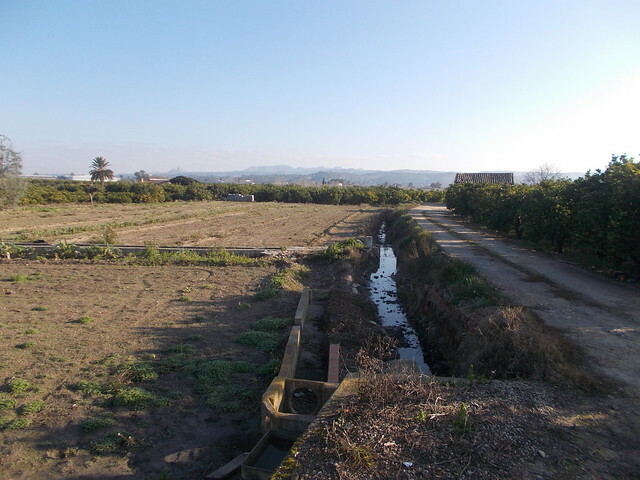 The city’s tourism site can be found here. It’s a great base for exploring the west of the island. Situado en el oeste de Irlanda, Galway es una ciudad de 79.504 personas y será la Capital Europea de Cultura en 2020. La ciudad tiene muchos castillos, ríos, canales y historia. Todavía lamento haber ido a Cork en lugar de Galway en 2014. Un día volveré a Irlanda para explorar esa ciudad bonita. Es una buena base para explorar el oeste de la isla. Su sitio web está en inglés arriba. Named for the only town on the peninsula, Dingle (Population 2000 on a good day), the peninsula offers stunning views of Atlantic and is the western point of Europe. The film Far and Away was partially filmed here. The 2010 film Leap Day takes place here, but was not filmed here. A visitor’s guide is found here. Nombrado por el único pueblo en la península, Dingle (población 2000 más o menos), la península ofrece vistas impresionantes del Atlántico y es el punto más oeste en Europa. Grabaron la película Far and Away allí. La película de 2010 Leap Day tiene lugar allá, pero no la grabaron allá. La página web de turismo está en el texto en inglés. Dingle Peninsula is just one of the many beautiful places in County Kerry. County Kerry is home of the famous Ring of Kerry, a 179-km long tourist route through the most beautiful parts of the county. I would have enjoyed this so much more than Cork, but you live, you learn. (Cork is also nice, but I am a nature junkie.) Their tourism site can be found here. La Dingle Península solo es uno de los sitios bonitos en el Condado Kerry. Condado Kerry es el hogar del anillo de Kerry famoso, una ruta de turismo de 179 kilómetros. Otra vez más, creo que habría disfrutado esta parte de Irlanda mucho más que Cork. Vives y aprendes. (Cork está bien, pero prefiero naturaleza.) Se encuentra su página web de turismo en inglés en la parte de inglés. Looking for the past in La Vallesa. It wasn’t meant to be. No era en los planes. We ended up going on a short hike in La Vallesa, a forest with a lot of hidden bunkers and trenches from the Spanish Civil War. There is also a mysterious house or something with enough fences, barbed wires and walls to protect it from a nuclear fallout. A quick Google search has revealed nothing. 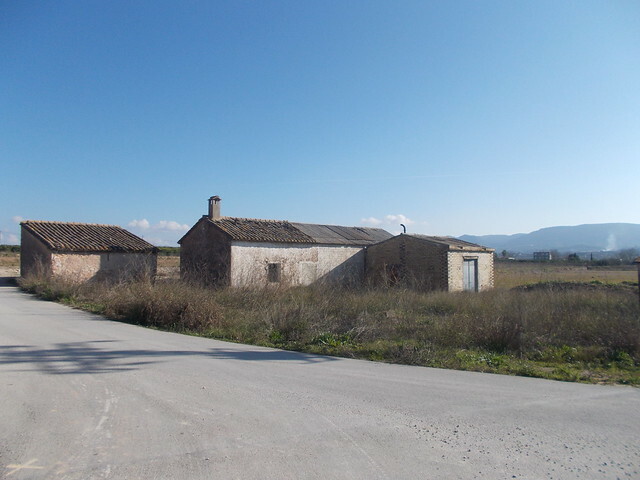 It probably was a safe house for military purposes during the Franco era. 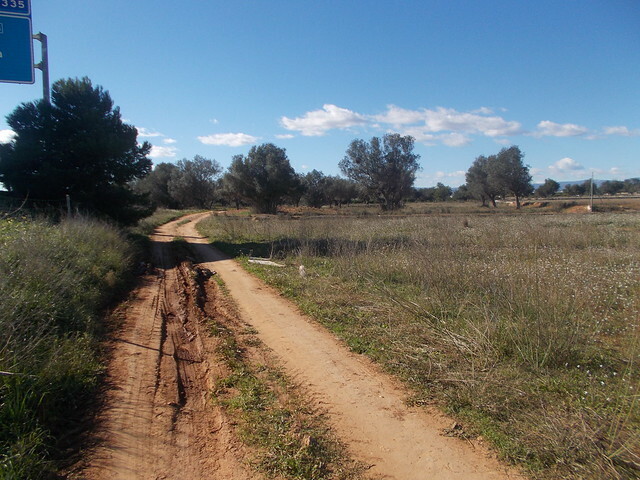 Al final hicimos una ruta cortita en La Vallesa, un bosque con muchos bunkers y trincheras de la Guerra Civil española. También había una casa misteriosa con tantas vallas y murallas para protegerla de un intentado nuclear o algo. Una búsqueda rápida por Google no daba respuestas. 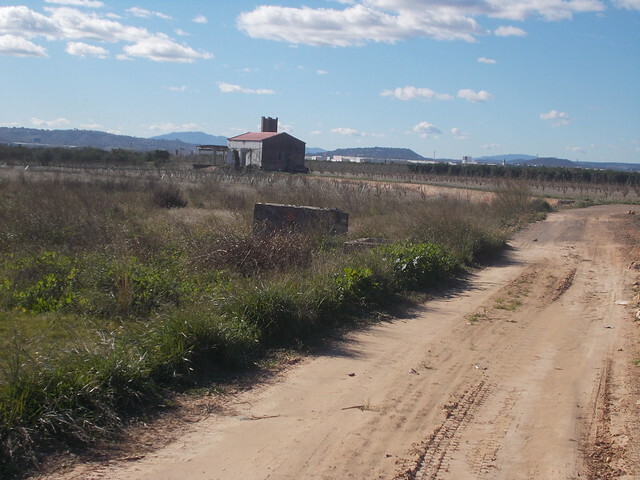 Probablemente era un refugio militar durante la época de Franco. The paths through the forest are very similar, and it’s very easy to get lost. In fact, we got lost. Despite asking a few people where they were, we were unable to find the bunkers. It’s a mystery. I’ve looked on Google and found a route to the bunkers. I may go back, as it was a great place to wander on a sunny Sunday morning. Los senderos por el bosque son muy parecidos, y es muy fácil perderse. De hecho, nos perdimos. Aunque preguntamos, no pudimos encontrar los bunkers. Es un misterio. He buscado por Google y encontré una ruta a los bunkers. Quizás volveré, como era un sitio bonito para pasear un domingo por la mañana. 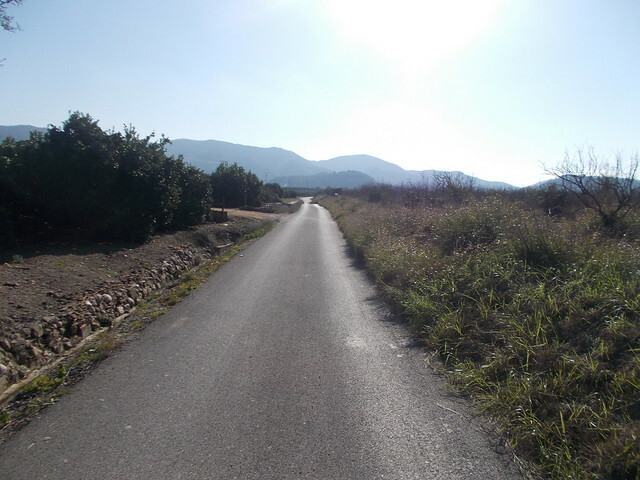 It was a pleasant morning with nice scenery, but I didn’t take any pictures. I just went with the moment for once. We were looking for the past, but we didn’t find it. However, it was still a great morning. Era una mañana agradable con paisaje bonito, pero no hice fotos. Viví en el momento por una vez en la vida. Estábamos buscando el pasado, pero no lo encontramos. Sin embargo, lo pasé genial. Difficulty: Easy to walk, but easy to get lost. 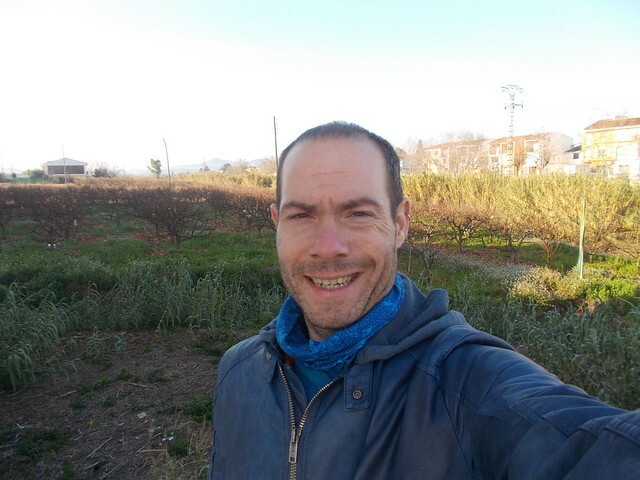 Thank you and gracias to Fede for the nomination for a Real Neat Blog. 1. Post the Award logo and answer the questions asked by the person who nominated you. 2. Thank the person who nominated you in your post and link to their blog. 3. Nominate and link to some bloggers you’d like to see respond. 4. Create 7 questions for your nominees to answer & let them know they are nominated in a comment on their blog. 1. What is/are your hobbies besides running a blog? 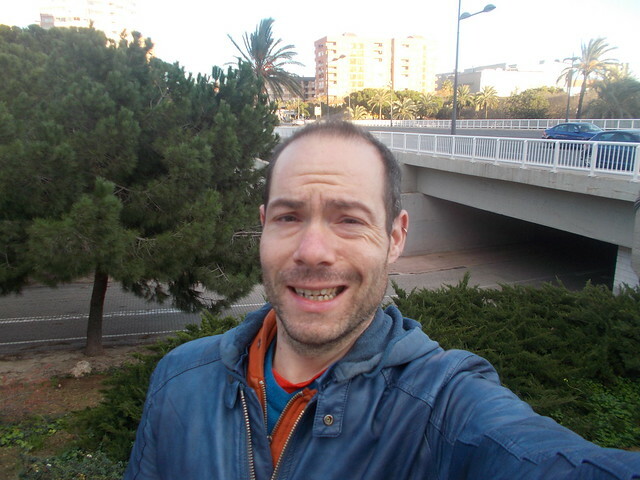 I like reading, writing, travelling, hiking, Spanish cinema, Body Combat, and cinema. 2. What is the thing that you would like to buy/have the most in your life? I would like to buy a world travel ticket always open to travel the world. I would most like to have job stability in Spain, a quality boyfriend and two golden retrievers. 4. What is the biggest achievement you had so far? 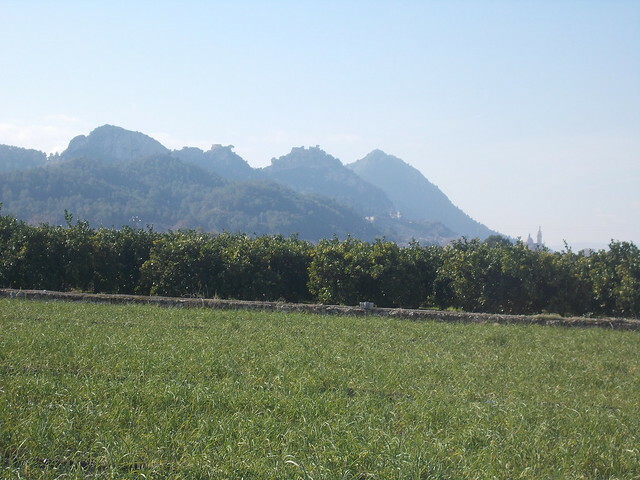 Moving to Spain and having been able to stay living here for eight-going-on-nine-years now. 5. What is your favourite season? Explain why. Autumn, as I love the changing of the trees and the sense of renewal (I’m a teacher so) of a fresh school year. There is just something in the air during autumn. 6. What is your favourite cuisine? My favourite is Iberian food, specifically Valencian paella. Paella valenciana is chicken and sometimes rabbit. I can’t do seafood. 7. What is the language you would like to speak the most? 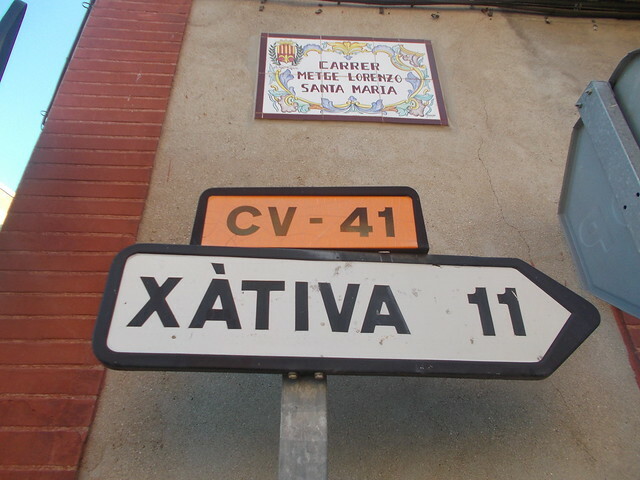 I already have a B1 in Catalán, but I want to be completely fluent in it. For me, it’s the most beautiful language. A language that I am 100% not fluent in that I would like to learn is Greek. I nominate the following. Feel free to participate or not. 1. What is the first place you remember travelling to? 2. What has been the best place you have travelled to thus far in your life? 3. What is your dream vacation or holiday? 4. What is your most memorable hiking or outdoor experience? 5. What has been the worst hostel or hotel experience in your life? 7. Where is your dream home? Needless to say, since my mom lives in Kentucky, it’s not every year that I get the opportunity to travel north to see my friends. This year, my mom and I managed to squeeze in two days travelling to Ohio. Ahora, dado que mi madre vive en Kentucky, no tengo la oportunidad viajar a ver mis amigos en Ohio. Este año, mi madre y yo hemos podido viajar durante dos días al Ohio. The car trip is about 6 hours. I miss driving, although I know it’s better for the environment that the vast majority of my travels are done with public transport. 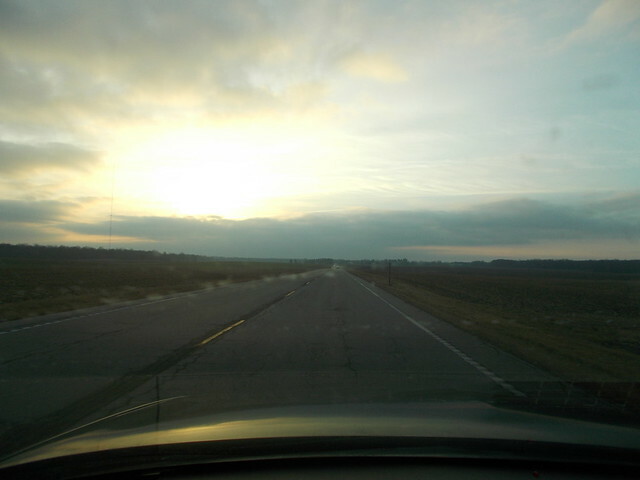 After stopping for some shopping at the outlet malls at Exit 65 off I-71, we breezed on up to Vermilion, our first stop. 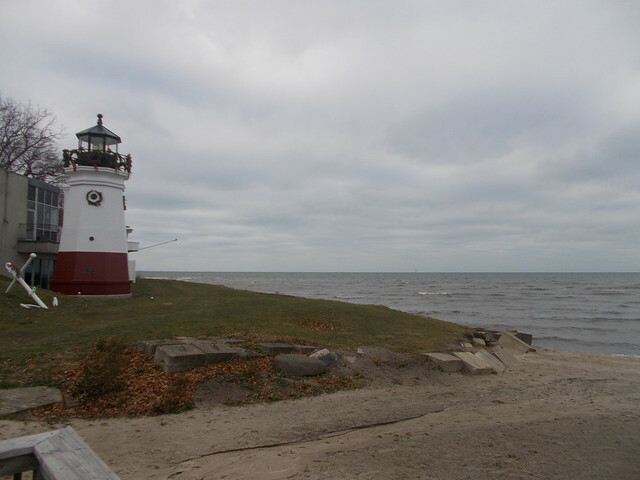 Vermilion is a quaint Lake Erie town, and it was where we always went to when we went to the beach when I was growing up. El viaje tarda sobre 6 horas en coche. Echo de menos conducir, aunque sé que viajar con transporte público es mejor por el medio ambiente. Después de ir de compras en un “outlet” a la Salida 65 de I-71, no tardó nada en llegar a Vermilion, nuestra primera parada. Vermilion es un pueblo de Lago Erie pintoresco. Tiene una playa donde fuimos cuando era un niño. It was a very cold view of the lake, but well worth it. My students are really curious about a lake that you can’t see the other side of. Era una vista muy fría del lago, pero valió la pena. Mis alumnos son muy curiosos de un lago donde no se puede ver el otro lado. 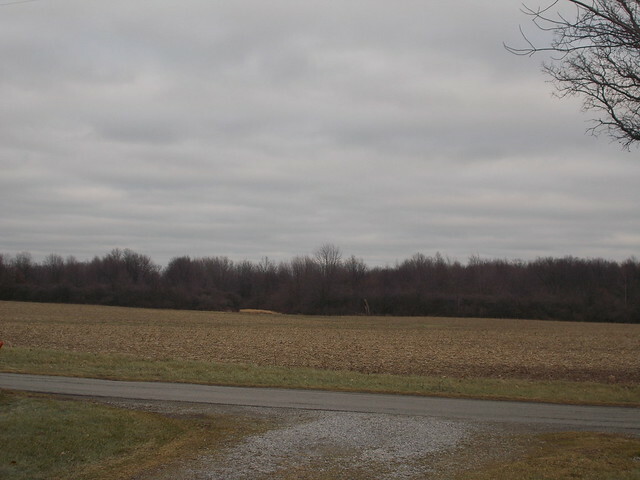 Later, we drove by the house I grew up in, which has been converted into a horse farm. We never had anything bigger than a black labrador/German Shepherd mix growing up. Después, pasamos la casa donde me crecí. Ahora es una granja de caballos. 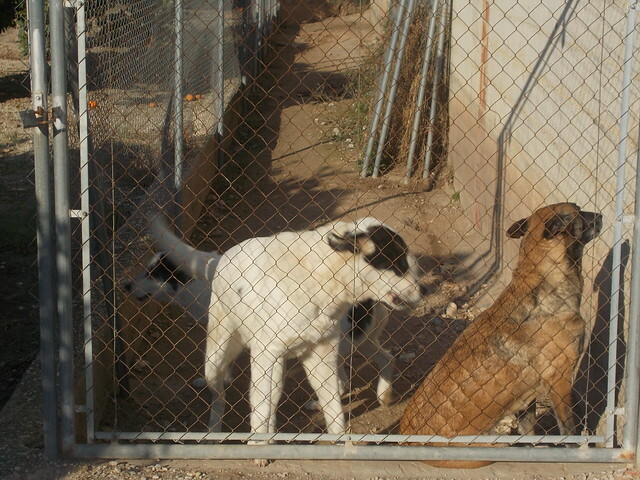 Nunca tuvimos nada más grande que un perro mezclado de labrador y pastor alemán. I later met up with my two BFF to catch up. I ended up eating in Avon at Red Robin, an American chain restaurant. My friend loved it, but I just thought it was okay. I was there for the companionship. Después fui a ver mis mejores amigos (BFF). Cenamos en Avon con una amiga en Red Robin, que es una cadena de restaurantes americana. A mi amiga le encantó, pero para he probado mejor comida. No pasa nada. Estaba allí para la compañía. 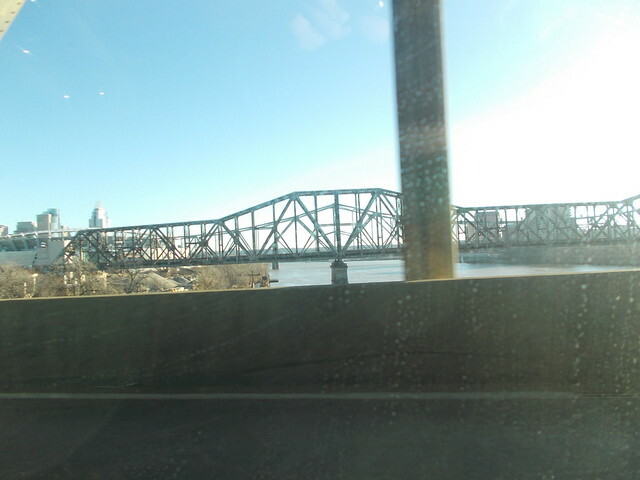 It was a very short trip, as we went back the next day due to commitments my mom had in Louisville. However, as many of us know, any time spent with your high school friends is special. Era un viaje corto. Volvimos el día siguiente porque mi madre tenía cosas que hacer en Louisville. Sin embargo, como muchos ya sabemos, cualquier tiempo pasado con amigos del instituto es genial. That said, I’m ready to go back to Spain, where I will be when this entry publishes! Ahora me queda con muchas ganas volver a España, ¡donde ya estaré cuando esta entrada se publicará!